The Complete Golden Dawn Cipher Manuscript [also, also], Golden Dawn Studies Series Number 1, deciphered, translated and edited by Darcy Küntz, introduction by R A Gilbert, the 1996 first edition paperback from the Holmes Publishing Group, is part of the collection at the Reading Room. 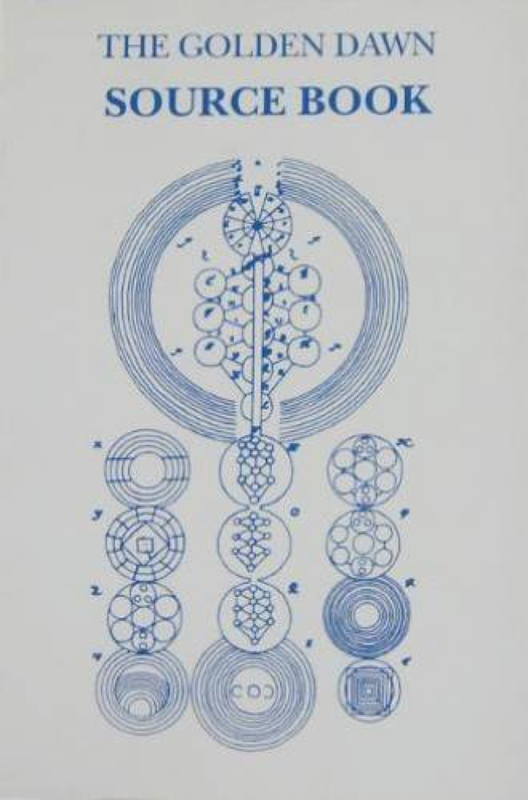 “This book contains the first complete facsimile and translation of the Cipher Manuscript, which became the foundation of the Golden Dawn’s initiation ceremonies and knowledge lectures. The complete Cipher Manuscript has been safeguarded in private collections and inaccessible to occultists and historians for over a century—until now. 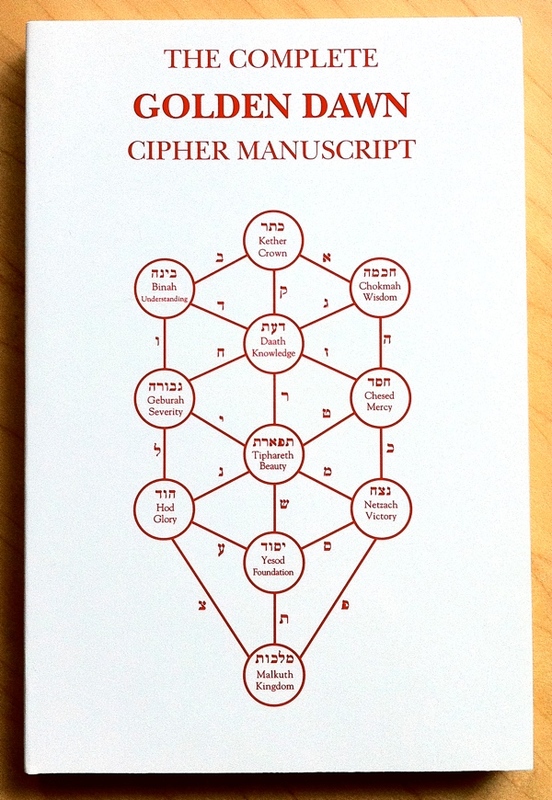 The publication of the Cipher Manuscript is the most important Golden Dawn manuscript to be printed in many years. An early history of the Golden Dawn as presented by the author. ‘A Tentative Solution to the Riddle of the Cipher Manuscript’ by R.A. Gilbert and printed in North America for the first time. The first complete facsimile and translation of all 60 Cipher Folios, including two unknown Cipher Folios recently discovered. The ‘Zelator Opening’ Ceremony and now issued for the first time from an obscure source of the Cipher Manuscript. 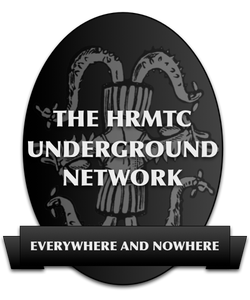 The ‘Knowledge [Lecture] of the Theoricus’ Grade — newly discovered and now appearing for the first time. S.L. MacGregor Mathers’ ‘Notice to the Philosophi’ herein available as the Philosophus Knowledge Lecture. The ‘Adeptus Minor Opening Ceremony’ newly translated into English from French, Latin, Hebrew and Greek. S.L. MacGregor Mathers’ version of the Practicus ‘Tarot Lecture.’ based on the Cipher Manuscript and presented as an appendix. 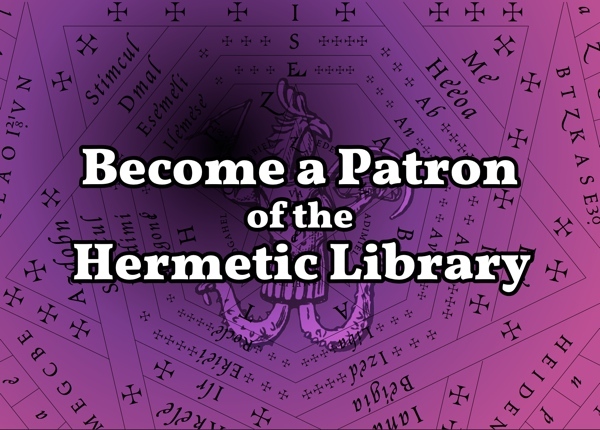 This entry was posted in Hermetic Library Reading Room, The Golden Dawn Library Project and tagged 1996, books, cipher, darcy kuntz, hermetic order of the golden dawn, holmes publishing group, r a gilbert, Reading Room, Samuel Liddell MacGregor Mathers on October 11, 2013 by John Griogair Bell. 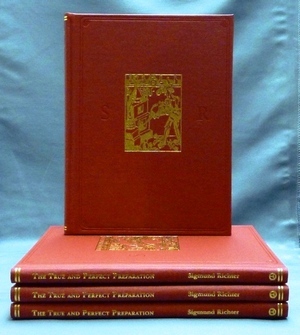 The True and Perfect Preparation of the Philosopher’s Stone, by the Brotherhood of the Order of the Golden and Rosy Cross Wherein the Materia for this Mystery is named by its name, also the Preparation is shown from the Beginning to the End, with all Manipulations by Sigmund Richter (Sincerus Renatus) is a new release published by Teitan Press available from Weiser Antiquarian Books. 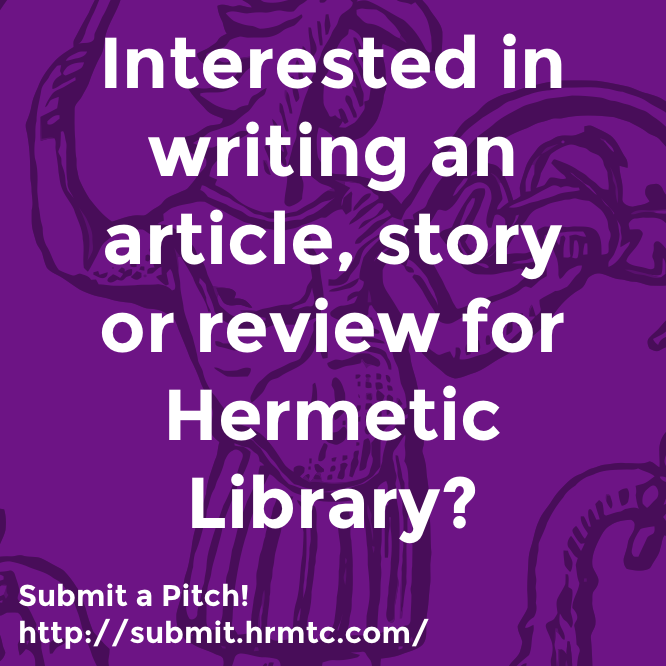 Hermetic Library fellow T Polyphilus posts the second part of a response to Aleister Crowley and Western Esotericism, ed. Henrik Bogdan and Martin P Starr, from Oxford University Press, over on his blog at “Aleister Crowley and Western Esotericism, Part 2 of 3” which speaks to essays by Tobias Churton, Matthew Rogers, Martin P Starr, R A Gilbert, and Massimo Introvigne. A Magus Among the Adepts. Essays and Addresses. is a “new collection of thirty fugitive and unpublished papers by William Wynn Westcott,” edited and introduced by R A Gilbert, published by Teitan Press and available via Weiser Antiquerian Books. 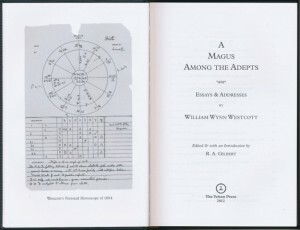 “A Magus Among the Adepts is a wholly new collection of thirty fugitive and unpublished papers by William Wynn Westcott. In the public mind Westcott is associated primarily with the Hermetic Order of the Golden Dawn, but that magical Order was the child of Westcott’s life and work as a Rosicrucian, and thus the twelve papers that comprise the first section of this book are drawn from his magical, alchemical and Rosicrucian writings – including three unpublished addresses to members of the Golden Dawn, and his correspondence concerning Mathers and Crowley, brought together here for the first time. 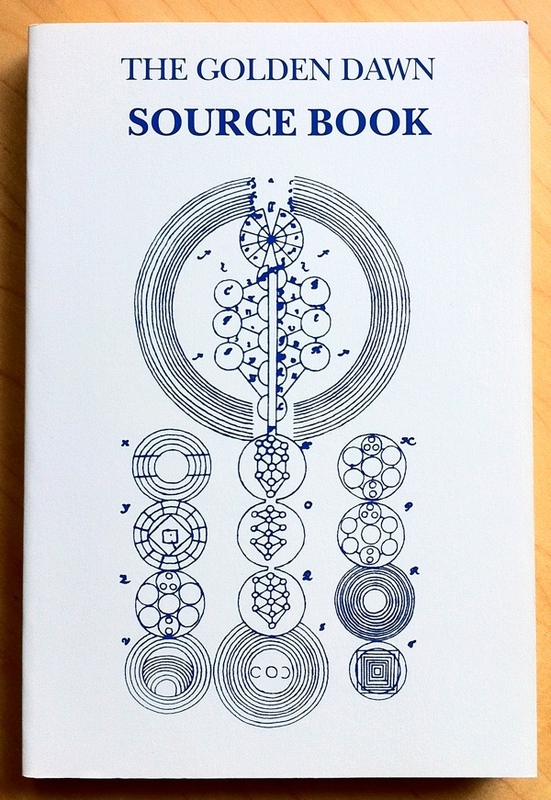 Other aspects of Western Esotericism – symbolism, divination, Kabbalah, the Mysteries and Freemasonry – are taken up in the thirteen papers that make up the following three sections. In all of them Westcott’s facility with his varied subject matter – Gnostic doctrines; Zodiacal signs; Egyptian Mysteries; Kabalistic Cosmogony; and the Number 666, among much else – and his mastery over its content, is clear. 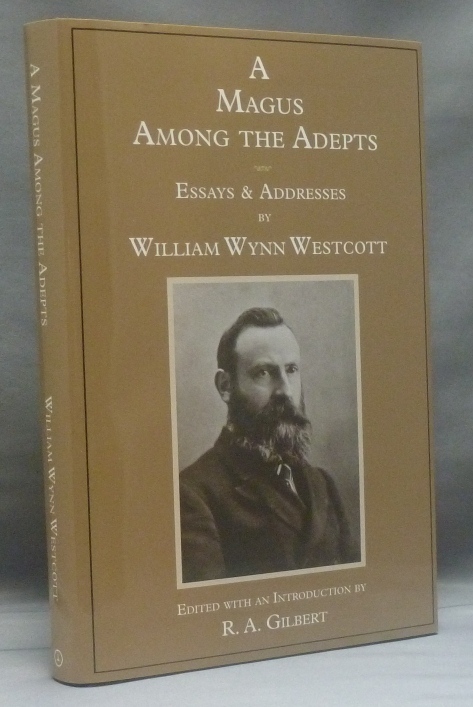 His deep knowledge of folklore and mythology is demonstrated in essays on the Basilisk, the Mandrake and “Mystical Animals of Antiquity,” whilst the final section of this collection contains two remarkable and entertaining essays – “Twelve Years’ Experiences of a London Coroner” and “The Coroner and his Medical Neighbours” – in which Westcott gives his personal memories and reflections of his professional career. His life as a whole is encapsulated in a new biographical introduction by Dr. R. A. Gilbert, who has drawn upon a wealth of contemporary and personal archives to provide a rounded and detailed portrait of every facet of this complex and enigmatic man. The book is a hardcover, octavo size (9 x 6 inches, approx. 23.5 x 15.2cm), xxii + 242pp. Quality black cloth binding with gilt facsimile signature on upper board, gilt titling to spine. Sewn, printed on acid-free paper. Black and white frontispiece, index. Glossy dust jacket. The Book of Enoch the Prophet is a new edition recently released you might find interesting. This superlative translation by noted scholar and theologian R.H. Charles is one of the best and most complete available. An introduction by noted esoteric scholar and antiquarian bookseller, R. A. Gilbert, places The Book of Enoch in historical context and dispels many of the dubious interpretations previously attributed to it.